It can be hard enough to manage regular and vacation schedules against queue volume, let alone work in additional time for volunteering or team-building activities. However, given the frequency that our Zendesk advocates volunteer, we interviewed a few team leads and managers to learn how it’s done. Advocates are at the mercy of the queue, so planning ahead is as important to Zendesk’s CSR team as it is to support managers. It doesn’t help anyone if an advocate has to bail on a volunteer opportunity at the last moment due to queue volume. This is also one reason why the CSR team ensures that there are volunteering opportunities that meet a variety of schedules. Over the holidays, for example, advocates were able to wrap gifts for charity on site, without even having to leave the office. Managers also need to know what their advocates have signed up for and balance the number of advocates out at any given time. For Tier 1, managers need at least a week’s notice—but more lead time is always better. Most managers can probably spare an agent, or five, on any given day if their team is large. Even so, it’s a good policy to have a policy against volunteering at high volume times. Set expectations early with the team around when it’s okay to volunteer, and how long they can be gone. On average, most volunteer shifts range 2-3 hours. 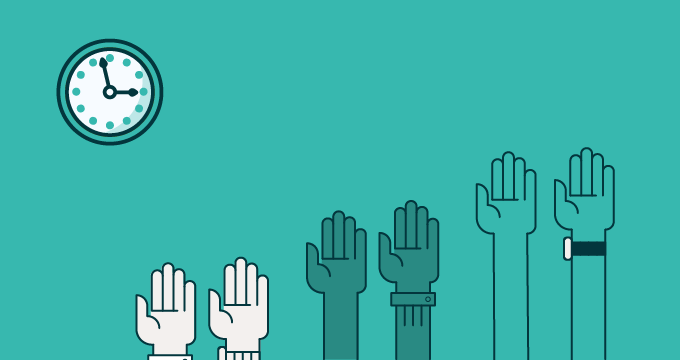 At Zendesk, Tier 2 advocates aren’t typically on live channels—phone and chat—unless they need to jump in and lend a hand. This makes it easier for them to serve as proxies for Tier 1 on any given channel, as needed. In our Madison office, the Tier 2 team is large enough to cover for each other, but Tier 3 team has to coordinate with the Tier 3 team in San Francisco for coverage. At the Tier 2 and 3 level, everyone plans to volunteer approximately 4 times per year, and generally as a team. Each quarter, team leads work with the CSR team to plan an activity large enough for the whole team to participate in, often late in the day so that the team can transition into a happy hour or dinner afterward. In most cases, team leads and managers keep a separate Google calendar to track volunteer hours, allowing access so that the rest of the team can see who’s out, when. Before leaving for a volunteer event, advocates check for any re-opened tickets, and update them accordingly. Team leads are given a list of people volunteering so that they can monitor for any additional re-opens while that advocate is out. “I can’t say enough about how great volunteering has been for team bonding,” Harris added. “Advocates generally don’t get to talk to each other throughout the day.” For this reason, each time there’s a change in leadership, it’s standard practice to schedule a volunteer activity and dinner. Most new hires at Zendesk also volunteer, and once per quarter, advocacy leadership volunteers together. In Tier 1, where the advocate pool is larger and it’s easier to accommodate 1-5 people out at any given time, volunteering is often at the individual’s discretion. But more than simply allowing time for volunteering, advocates are incentivized to do so. For example, in the U.S., each new Tier 1 hire is sorted into a Harry Potter-themed house (the brainchild of advocacy product support Team Lead Nate Ziegel), and can compete quarterly for “The House Cup.” Of all the activities that advocates can choose to participate in, volunteering is one of the items that can help earn the house the most points. As a result, five quarters strong, the Tier 1 has seen an uptick in individuals volunteering outside of team-building events. Though it’s difficult to draw a direct correlation, Zendesk’s Advocacy team agent satisfaction rating is 92 percent, and the team averages a customer satisfaction rating of 95 percent. Anecdotally, at least, advocates and managers shared how helpful the integration of CSR activities are to the organization for recruitment and retention.